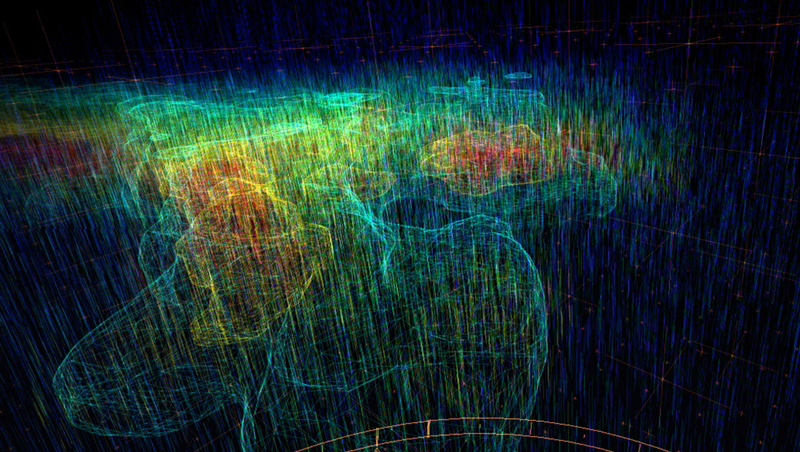 An immersive VR experience in which you can fly freely through a world of observation data. 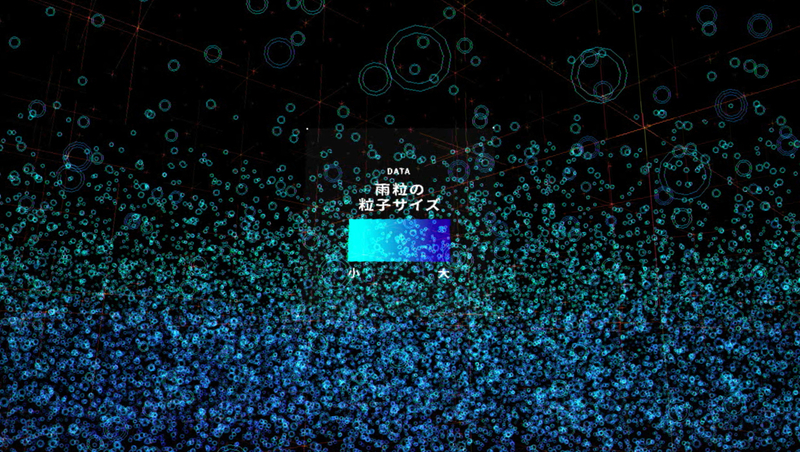 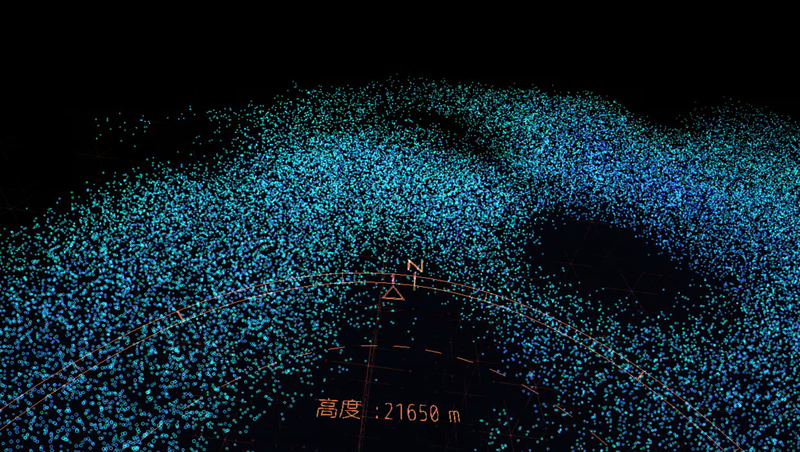 This project was all about taking the huge amounts of observation data compiled by JAXA satellites and bringing it to life in an exciting VR experience in which you can freely explore the data in a virtual world. 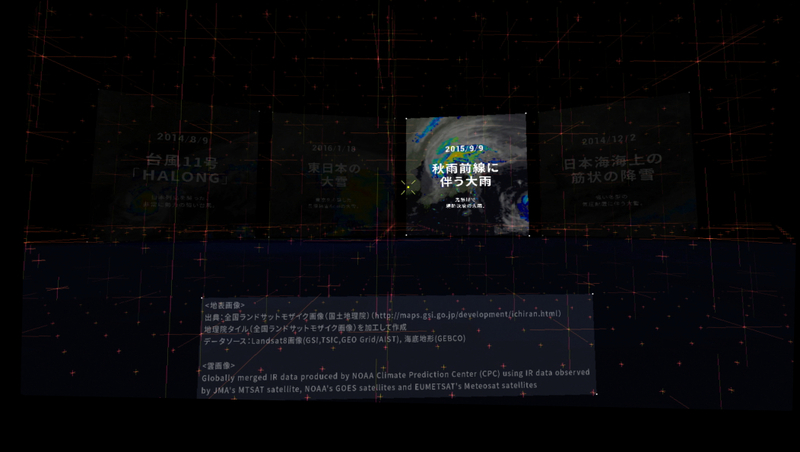 We showed off this content on an Oculus Rift at a special event held at the Tsukuba Space Center on October 15th, 2016. 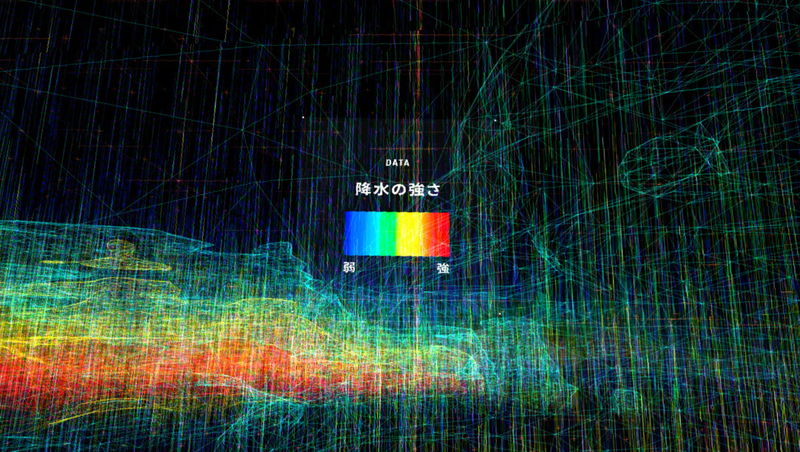 There were 3 kinds of data to experience in 4 different situations, based on precipitation data recorded by the GPM/DPR satellite: "rain and snow", "raindrop and snowflake size", and "rainfall intensity". 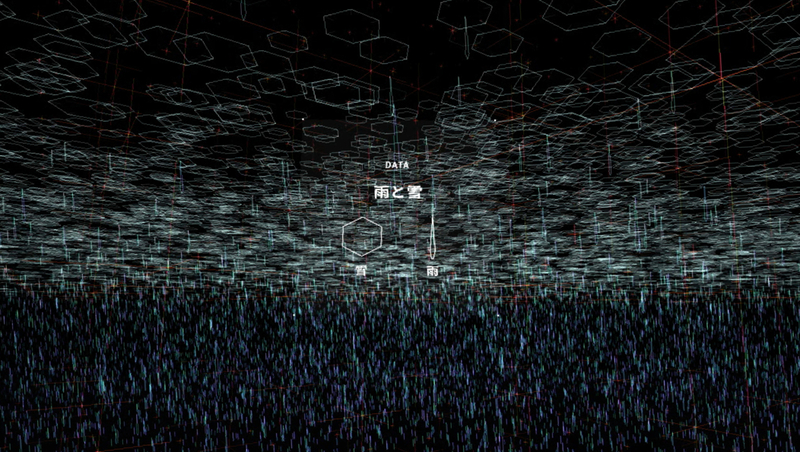 We gave people on the day a novel, immersive, beautiful graphical experience rendered with shifting dots, lines, colors and motifs, accompanied by audio based on the sound of rainfall.